But with the flip out screen, I find it very difficult to find stars that are bright enough to focus on. Even with the 10x view. Jupiter works great, but not always around. Even Vega is a struggle. I was considering a right angle viewfinder. That way I could really get my eyeball in there. And the viewing angle would remain comfortable. Would this be helpful in focusing on a star? Has anyone had any experience with them? Edited by petert913, 08 November 2018 - 04:51 PM. I have used them for years. 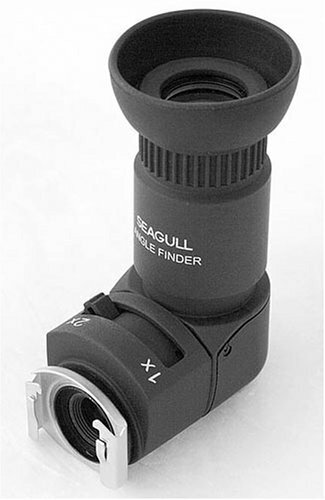 They allow you to focus in great detail at any angle on any scope you are using. I've used them for years also, and I don't recommend them. They are bad enough on a camera on a real scope, on a wide-angle lens it's going to be worse. - Find the brightest object in the night sky and focus on it with Live View at 10x magnification (many tricks at this link). - Tape the focus down. - Re-frame the camera to what you want to shoot. Focusing through the optical viewfinder, even with a magnifier, has never been a good idea. It's just not precise enough for most people to do it with any consistency (I'm sure some eagle-eye will say they never had a problem). It's hard to beat LiveView at 10x. Not a precision solution for astro applications. I agree with most of the posts so far. I have a right angle viewfinder for my Nikon DSLRs and it even has a built-in 2X magnifier but it doesn't really help when focusing on stars. I am NOT specifically recommending this particular model, it's just an example from the range of products that are available. You need to do your own homework looking at issues like brand reputation, battery support, LCD panel resolution, etc. Note that you have to be particularly careful when evaluating the native resolution of the LCD panel itself as many products will state 1920 x 1080 support when the LCD itself may only be something like 1024 x 600 (they basically rescale the input to the panel resolution). Having a lower resolution panel is not necessarily a fatal flaw as the Lilliput display that I purchased about 5 years ago works fine with 1080p inputs but the display itself if fairly low resolution (but even at that it helps when focusing and viewing the liveview from the camera).